October is the time of year when fall festivals and pumpkin-picking activities reach their peak. In the D.C. area, it’s also a musical month. WASHINGTON — October is the time of year when fall festivals and pumpkin-picking activities reach their peak. In the D.C. area, it’s also a musical month. This year’s concert and exhibition will convene multisensory works from 25 different artists hailing from 13 different countries. “We’re very lucky, in the area, to have world-class museums, but being able to bring to the area installations that have been seen at the Guggenheim, MoMA, the Venice Biennale … and really utilizing the forest as a way to show their art is something that we’re super excited about,” Rodriguez said. “Gemini,” from artist Matthew Schreiber, is one piece that was commissioned for the event. 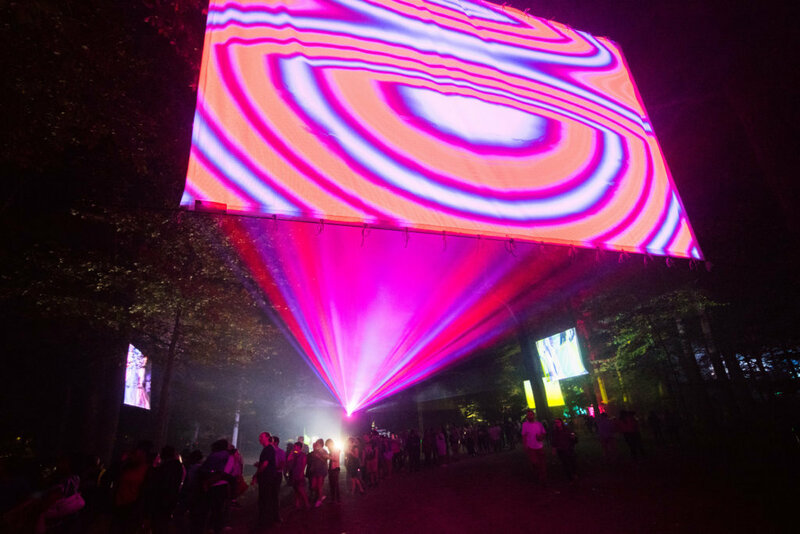 It’s made from 40 intersecting lasers and spans 75 feet in the forest. Visitors are invited into the space for reflection, and Rodriguez said it will also be used as a performance space for dancers. OPUS will also host a culinary village, featuring food from 15 purveyors, including Rose’s Luxury and Colada Shop. 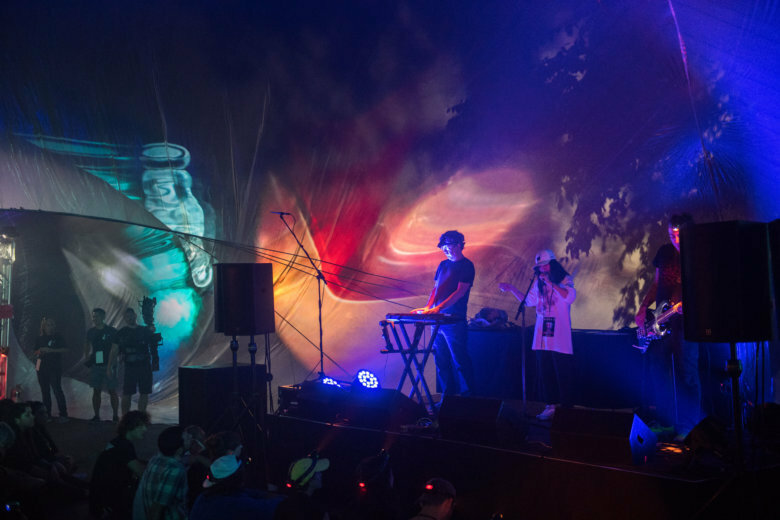 “Food is also a big part of your senses, and we want to make sure OPUS is really talking about this surreal sensory journey and all of these senses coming to life,” Rodriguez said. OPUS Merriweather takes place from 5 to 11 p.m. on Saturday, Oct. 13, and is free and open to the public. Families with children are welcome. More information is available online. B’nai Tzedek in Potomac, Maryland, is now home to a new play experience. This fall, the congregation and its Greenzaid Early Childhood Center opened the Robert Levin Musical Playground. 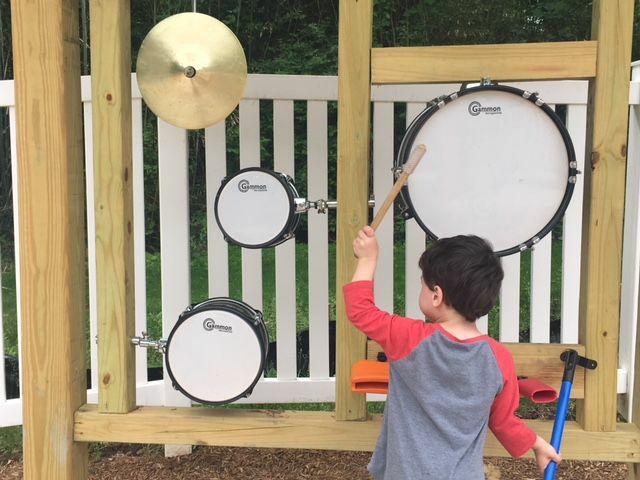 Designed with the curiosities of little ones in mind, the outdoor play space is outfitted with musical instruments (drums, symbols), as well as more typical play structures (sandbox, slides). B’nai Tzedek’s Rabbi Stuart Weinblatt said the space encourages creativity through nature and music, and takes “the exploration of the arts” beyond the classroom walls.